Located in the heart of Latin America, Costa Rica is a beautiful tropical country full of contrasts boasting a mix of landscapes and cultures. Its fine range of attractions includes volcanoes, tropical rainforests, magnificent waterfalls and beautiful sandy beaches. It’s also an environmental wonderland, renowned for its many national parks and its biodiversity which boast an array of wildlife; from crocodiles and monkeys to whales and dolphins. 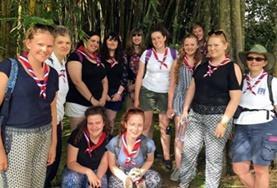 Our group trips in Costa Rica are open to anyone with an enthusiasm for volunteering together in the developing world; including those at school, in a community group, at university or working together. 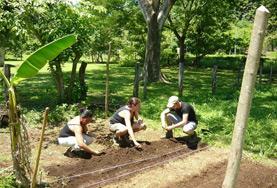 A wide variety of projects are on offer for groups in Costa Rica. These include Care/Teaching, Community, Conservation, Sports, Language, and Medicine & Healthcare – including Medicine and Physiotherapy, Projects; each with their own unique charms. Unlike many neighbouring countries, Costa Rica has been without an army for over 60 years with peace and stability persisting. Costa Ricans – commonly called Ticos – are renowned for their friendliness and hospitality which you will notice as soon as you arrive. Costa Rica has a strong tourist industry based on eco-tourism and water sports, and time and effort has been dedicated to sustaining the wildlife and improving the standards of living. Despite Costa Rica being one of the world leaders in ecotourism, many of its people still live in poverty in very basic conditions. 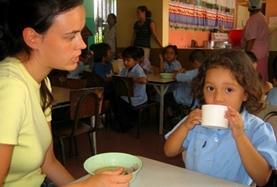 The growth of both tourism and ecotourism has led to an increased demand for English speakers. 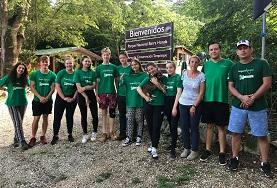 This makes any volunteer efforts all the more meaningful, whether its directly helping to preserve the environment for future generations by working in a national park, or by helping to teach English to the local people and children. Projects Abroad is based in the lively university city of Heredia near to the capital of Costa Rica; San Jose. Groups getting involved with our Conservation & Environment project will be based in Barra Honda National Park, about four hours from Heredia. 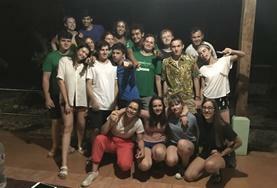 In Heredia, groups will stay in a local hotel, this is to ensure that both project work and free time can be arranged and organised easily amongst yourselves. All the hotel staff and the locals are incredibly friendly so be sure to chat with them, practice some of your Spanish and give them an insight into life back home by showing them some photos! 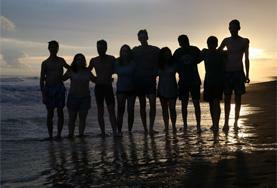 Most of the staff at your placement that you will be working with will not speak much English, making Costa Rica the ideal destination to improve your Spanish skills, or start learning the language. Of course, English-speaking Projects Abroad staff will always be available to help with any communication issues you might have along the way. 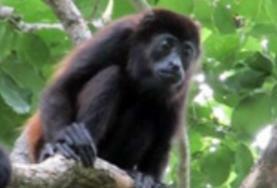 The Conservation & Environment project is located at Barra Honda National Park. 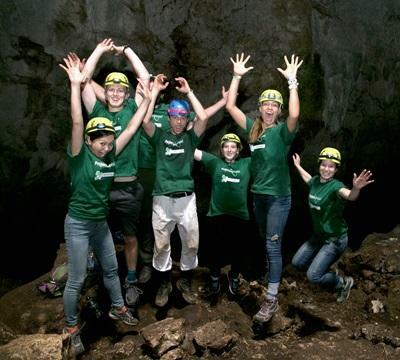 Volunteers are involved in a wide variety of work including studies of mammals and butterflies within the park, trail maintenance, and maintaining the numerous caves for which the park is famous. 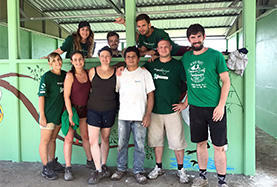 The group volunteer projects we offer in Costa Rica allow you all to experience the true essence of this beautiful country and give you a unique opportunity to fully immerse yourself in Costa Rican community life. In the evenings and on the weekends, groups will have free time to spend as they please. 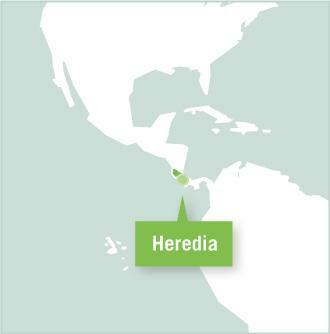 With Heredia being located in the Central Valley; the heart of Costa Rica’s coffee-growing country and within close proximity to the exciting capital city of San Jose, the active cultural and social scene of this student town has plenty to offer. Its central location means that Heredia is perfectly placed for exploring the rest of Costa Rica. For the more adventurous among you, the topography of Costa Rica offers plenty of natural features and landscapes waiting to be explored. From sandy beaches to volcanoes and from waterfalls to cave systems, the numerous national parks with its mountains and tropical rainforests offer an adventurer a huge array of activities. Heredia you can easily take day trips to the impressive Poas and Irazu volcanoes. Numerous other popular tourist destinations, such as Arenal volcano and Monteverde cloud forest, are only a few hours bus ride away. 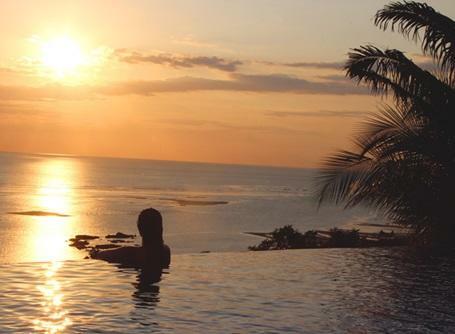 But you’re never too far from the coast in Costa Rica. You’ll be spoiled with choices for the number of idyllic beaches to go to and will have plenty of chances for water based activities like surfing, swimming, snorkeling, or scuba diving in your time off on both the Pacific and Caribbean coastlines.